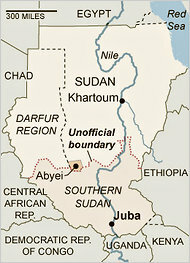 The New York Times has compiled a chronology and stories-to-date on the current fighting in South Sudan. Today the Times reports that gunmen fired into a United Nations base in South Sudan, one of the UN bases where 65,000 civilians have fled for protection. One half million people have escaped from their homes under attack.